Discount coupons help many people with diabetes afford their medication. People often receive coupons from physicians, through advertisements, or via online searches. At the pharmacy, these coupons can reduce out-of-pocket costs – sometimes by hundreds of dollars. Some coupons have eligibility criteria, but others are open to anyone who has a prescription. Typically, these coupons decrease the out-of-pocket cost of the medication while counting the original, higher price toward an individual’s deductible (the yearly amount you pay before insurance kicks in). People have traditionally been able to reach their deductible or out-of-pocket maximum using the money that drug manufacturers contribute via these coupons. This is why accumulator adjustment policies are extremely damaging for people who rely on discount coupons for medications with no generic equivalent. Say your pharmacy deductible is $500, which is typical here in California for a Bronze insurance plan. The cost of the medication is $100, but a copay card brings down the amount you pay to $5, with the remainder paid by the drug’s manufacturer. Under traditional policy, the full cost of the drug – $100 – would be counted toward your deductible, even though you’ve only paid $5 of your own money. The situation is much worse under accumulator adjustment. Since you’ve only paid $5 out-of-pocket, only $5 is counted toward your $500 deductible. 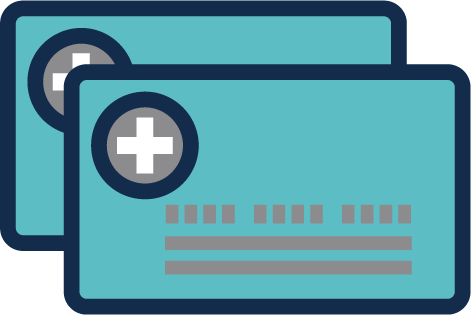 With the addition of these policies, many people who use discount cards – particularly those with high deductibles – will end up paying more for their supplies. For background on why these polices are being implemented, click here. 2. Investigate if switching health plans can help save you money. 3. Get involved with patient advocacy groups. As always, we hope that patients and healthcare providers will work together to find a treatment plan that balances safety and affordability. Why are these policies being instituted? While discount coupons help individuals afford medication, they can drive up costs for everyone in the long term if they cause people to switch from less expensive generics or biosimilars (the term used to mean “generic” when specifically talking about insulin) to more expensive brand name medications. Typically, insurers encourage people to use low-cost medications by offering lower copays for generic and biosimilar equivalents. Insurers have an incentive to do this because it means they pay less for these drugs, too. When coupons allow people to afford more expensive medications, however, the insurer pays more to the manufacturer. This can ultimately translate to higher premiums for everyone on the health plan. Medicare prohibits copay coupons for this reason, and California prohibits copay coupons for medications that have a lower-cost generic equivalent for all California residents. Beyond encouraging use of more expensive medications, many argue that copay cards allow manufacturers to raise the prices of these medications. When coupons make drugs affordable to consumers, manufacturers are given room to raise prices without impacting demand. Ultimately, insurers pay the difference. A 2016 study found that among 23 brand name medications for which there was a generic equivalent available, coupons increased overall spending by an average of between $6 million to $24 million per year. In diabetes, however, there are fewer brand name medications with lower-cost generics available. In fact, a recent study found that 50% of drugs with copay cards available had no generic equivalent or close substitute. Copay accumulator adjustment programs impact all drugs, even the ones without a less expensive substitute.